LHCF was established in 2000 as an all-volunteer 501(c)3 organization by Paul and Anna Grace Holloway. Their mission, when they created the Foundation, was and continues to be, to provide grants to support programs and projects that benefit children and youth in New Hampshire’s Seacoast area, with emphasis on education, health and the environment. 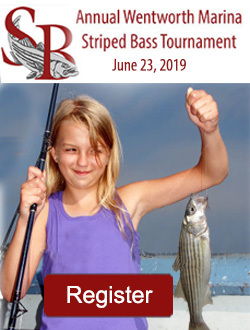 The annual Striped Bass Tournament is the fundraising event used to generate income each year for the Foundation. 100% of sponsor funds are channeled directly to the designated programs. Programs and projects are only considered that reach beyond the organization’s operational expenses. Since its inception, LHCF has distributed over $1.6 million dollars in support for Seacoast area programs. Programs and projects are monitored by LHCF board members through audited reports and on-site visits to substantiate the results of funded programs. LHCF has assisted thousands of children with basic health, welfare, educational services and crisis care. In addition, the foundation has supported marine environmental initiatives and personal enrichment opportunities.